A restrictive covenant is a type of contractual provision that prohibits a party from doing something in the future. It is an agreement that a person will refrain from certain actions or behavior. 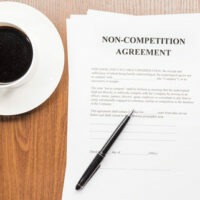 A common restrictive covenant is a non-compete clause in an employment contract. This provision states that an employee of a business will not, in the future, use the business’s information for profit or attempt to work with the business’s customers. Florida allows these types of agreements in employment in contracts. However, employers can go too far, an unlawful restrictive covenant will be void and unenforceable. If you are currently negotiating an employment agreement or are part of a legal action regarding a restrictive covenant, contact an experienced Florida business attorney right away for help. It is reasonable, in scope, geographical area and time. If you are part of a legal dispute regarding a restrictive covenant, you should be aware that the party attempting to enforce it must prove that there is a legitimate business interest. Not only must a restrictive content be based on a legitimate business interest, it must also be reasonable in its duration, geographic area, and line of business. The provision cannot be overly long or broad, whereby it goes beyond what is necessary to protect the business’s interest. While the Florida statute provides some specific time periods that are presumed reasonable in various situations, non-compete agreements are usually reasonable if they last no more than a few years. However, for trade secrets, a reasonable period may be up to a decade. It is up to the party seeking to enforce the provision to show that it is reasonable. If the party does so, then the party arguing against it must provide evidence that it is too long, too broad, or covers too much. If the court finds a covenant is unreasonable in duration, area, or line of business, it can modify the provision to reasonably protect the business. While a court will focus on the legitimate business interest and the reasonableness of the provision, it can also review whether the non-complete violates public policy. If you are arguing against the provision, it may benefit you to provide evidence that the provision is against public policy in its current form. If the court agrees it violates public policy, it can refuse to enforce it. It is important to note that Florida’s law states the court shall construe any restrictive covenant in favor of protecting legitimate business interests. The court will not use any contract rules to require it to read a restrictive covenant narrowly against the drafter of the contract or against the prohibition. If you are a business with a previous employee violating a non-compete agreement or you are the previous employer and are being unfairly attacked for your work, contact us at the Law Offices of Larry E. Bray, P.A. in West Palm Beach as soon as possible.